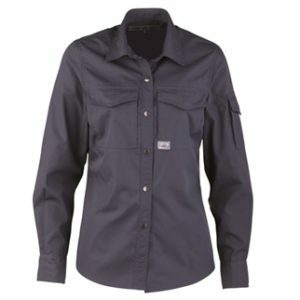 The Alsco Womens Long Sleeve Shirt is a modernised design industrial workwear that follow New Zealand trends. It is made with high-quality poly cotton fabric which is known for its toughness, durability and comfortable to wear garment. This garment is purposely made for an outdoor and indoor work setup. Here at Alsco we offer different range of workwear for both men and women. The Mens Long Sleeve Shirt is an ideal industrial garment. This garment provides the benefits of the polyester and cotton fabrics.